The Prussian Kingdom is the de jure state representing the national interests of all Prussians and is concerned with their welfare, safety, and liberties under international law. The adbication of the throne of the Prussian Kingdom by the Emperor of Germany, Kaiser Wilhelm II, removed forever any claim by the Hohenzellern family or its heirs to the Prussian Royal Throne. The throne being vacated until January 12, 2016, the Prussian Kingdom, representing the Prussian state, established King Wilhelm IV as the current and provisional Prussian King pending the eventual confirmation of the Prussian King by the re-organized state with ceremonies to conclude in Konigsberg at the behest of the Prussian people. Under the terms of the Montevideo Convention, the Prussian Kingdom exercises Declarative Sovereignty as a state in that it consists of territory, a permanent population, a government, and a state which can carry out diplomatic relations with other states. Prussia is a captive nation of war, since the illegal occupation of the Prussian governments in Konigsberg in 1934 by the National Socialist regime of Germany, the invasion of Danzig, a Prussian Free City, by the German Army, and the illegal declaration of the dissolution of the Prussian state by the Allied Powers in 1947. The occupation of the Prussian Heartland of East Prussia, Memel, and Danzig by foreign powers since that time, in retribution against a Power that was itself an aggressor against the Prussian state, has created the situation of today. 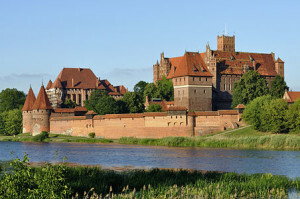 The Prussian Kingdom does not include non-Prussian lands not associated with the original Prussian Kingdom declared in 1701, with its Royal Seat in Konigsberg. During this time, while the Hohenzellern Elector of Brandenberg and King of Prussia treated both the Prussian Kingdom and the Electorate of Brandenberg as one body, the Prussian Kingdom consisted solely of what became the provinces of East and West Prussia with Konigsberg as the Royal Seat of the Prussian Kingdom and Danzig as the capital of West Prussia. With the dissolution of the Holy Roman Empire of the German Nation in 1802 their was no legal block to a formal declaration of the Prussian Kingdom as including Hohenzellern owned provinces within the dissolved Empire. However as Prussia herself was the victim of aggression, the inclusion of non-Prussian provinces by the Hohenzellerns as part of their newly minted Prussian Kingdom violated the sovereignty of such states as Brandenberg, Silesia, Pomerania, and others. The Prussian Kingdom has therefore opted to LIMIT its claim of territory to the legal extent of the Prussian Kingdom outside of the borders of the Holy Roman Empire. 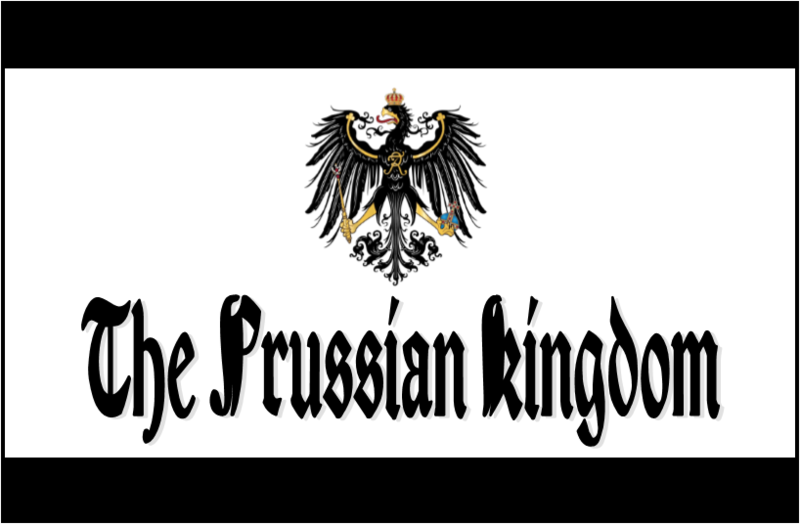 In order to reconstitute our nation and state, in keeping with the growing desire of residents currently residing in the Prussian heartland to adopt the Prussian nationality, and also in the interest of peace, the Prussian Kingdom holds that all persons living in the Prussian heartland and all persons willing to support the Prussian Kingdom shall be accepted, upon review, for citizenship in the Prussian Kingdom. The Prussian Kingdom claims de jure sovereignty over all the lands of the Prussian Heartland and will only exercise de facto sovereignty with the active support and cooperation of the persons residing on its territory, whose consent the Prussian Kingdom will work to obtain. We recognize that the establishment of de facto sovereignty over the lands which we possess de jure sovereignty is a long process, it will be pursued peacefully, and that gaining the support of the people within our heartland is the chief prerequisite to achieving these aims. The confirmation of the King of Prussia will be left to the citizens of the Prussian Kingdom when the Prussian Kingdom’s royal government in exile is physically established in Konigsberg with the consent of the people in the Prussian heartland who see in Prussian independence their opportunity live in freedom, security, prosperity and at peace with their neighbors. While the Prussian Kingdom is the succesor government of the Prussian state, which has been vacated these many years, the Prussian Kingdom will earn the support of its people for the ultimate de facto establishment of our government in Konigsberg. 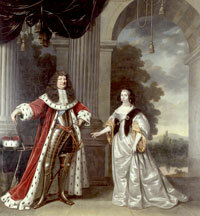 We understand that a new claimant to the throne of the Prussian Kingdom by a Hohenzellern has been made. We reject any notion that a Hohenzellern could take the throne because it was abdicated and because the Prussian Kingdom itself has many grievances against the House of Hohenzellern, chief among them being their inability and unwillingness to protect the Prussian people and heartland of the original Prussian Kingdom and the relegation to inconsequential status and neglect of the Prussian Kingdom after 1871. As Prussians have in the past sought the protection and support of Poland against the Hohenzellerns and their use of Prussia without serving the interests of Prussia, so too we appeal to our Polish friends to support an independent Prussia not controlled by a Hohenzellern. Those who will deny the veracity or seriousness of these claims will be disproved: Our proof shall be delivered in the gathering of the Prussian nation, online, and then the gaining of support for Prussia by the people living in our heartland who even now are beginning, we believe by Divine ordination, to be drawn to the Prussian national identity.